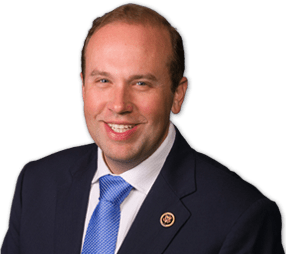 WASHINGTON, DC — Today, Congressman Jason Smith, a Member of the U.S. House of Representatives Committee on Ways & Means, responsible for all federal taxation policy, introduced H.R. 5903, the Permanent Tax Relief for Working Families Act. The legislation would make permanent the new and expanded per Child Tax Credit established under the Tax Cuts & Jobs Act. Before the Tax Cuts & Jobs Act, the per Child Tax Credit was only available to certain qualifying families and worth up to $1,000. The new Tax Cuts & Jobs Act, co-authored by Congressman Smith and signed into law by President Trump in December, expanded the credit to $2,000 per child with a valid social security number, increased refundability levels of the credit for low income families and increased phase-out levels so more families could access the credit. In crafting the new law and advocating for the more beneficial child credit, Smith met and worked with President Trump’s daughter, Ivanka Trump, who has served as a champion of working families and was a strong proponent of the credit doubling. Rep. Smith and First Daughter Ivanka also worked to maintain important pro family tax provisions such as the Child and Dependent Care Credit to help with the cost of child care expenses and the allowance of pre-tax dollars to be used for dependent care. While the initial U.S. House of Representatives version of the Tax Cuts & Jobs Act made the new enhanced Child Tax Credit permanent, U.S. Senate filibuster rules prevented permanency. As a result, the Tax Cuts & Jobs Act was only able to double the credit’s value for the next several years, expiring in the near future. Smith’s bill would provide certainty to taxpayers who are trying to plan for their family and lives by making permanent the new expanded per Child Tax Credit. Specifically, Smith’s bill would make permanent the doubling of the credit’s value to $2,000 along with new refundability and phase-out levels. “With its lower rates, doubling of the standard deduction and doubling of the per Child Tax Credit, the Tax Cuts and Jobs Act was a huge win for the families of southern Missouri,” remarked Smith. He continued, “It is now up to us to provide them with the certainty that these new rates and especially the per child credit will be there for them in the future as they plan for their lives. With adjusted withholding kicking in, the Tax Cuts and Jobs Act has put more money in Missourians pockets – I have seen it first hand from the farmers, business owners and families I have met with. Now, as those same individuals plan for what is next in their lives or for their farm or business, we must provide them with the certainty that those savings will continue well into the future,” Smith concluded.